Efficient time management is the single most critical skill an excellent Marketing Manager can have. Whether it be at work or your home life, it is the difference between excelling or underperforming; between swimming or sinking. Time management is a skill which can be applied to a three-month project, or just your daily administration. By organising how you will use your time efficiently, you will achieve greater productivity and less stress. Poor time management can lead to missed deadlines, a poor reputation and anxiety. A week in the life of a typical marketing manager will see them actively involved in numerous projects. And that’s before you consider any bigger projects like branding, launching a new product or website, or progressing your digital marketing with new initiatives like marketing automation. You might be the sole marketing person in your business or you might oversee a team of other marketing executives who you can delegate to, but the fundamentals remain the same – you need to be able to manage your time efficiently. An important saying that was taught to me in my early days in management was that “a good manager never lets anything sit on their desk.” But when you’ve got twenty different things to do, how do you organise your time effectively? 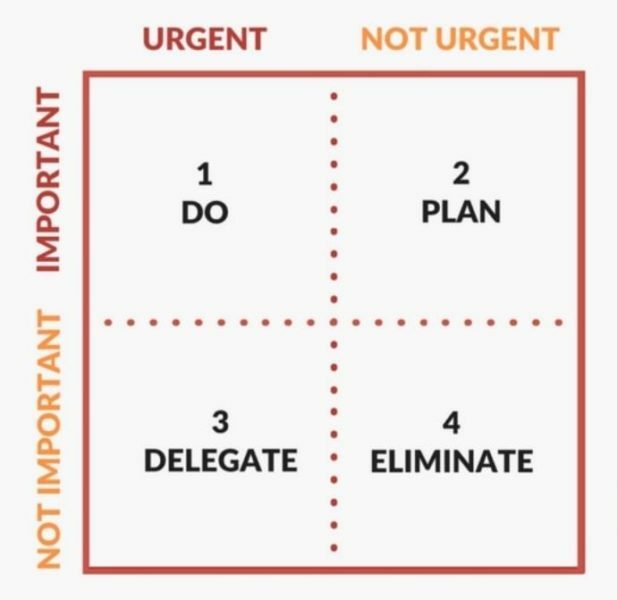 The first tool you can use is the Urgent/Important Matrix. This is a device that I use daily to ensure my most urgent and most important tasks are being worked on and are not distracted by something that is not as important or can wait until another day. A To-Do list is a great way of tracking the tasks that you have to do. This could be written down on a notepad, typed up on one of many different downloadable templates you can find on the internet or you could use an online tool such as Evernote or Basecamp. But a to-do list is just a list of things you need to do – unless you turn it into an action list. 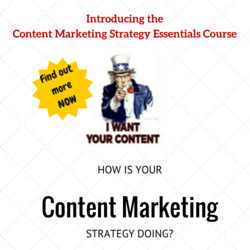 Firstly, you need to ensure that your to-do list is broken down into their core components. ‘Complete Presentation’ is too generic an action when actually you might have to brief a copywriter on the text, get research or case studies from the sales team, and get a designer to create a template and source images. Once you’ve got the core components, you can use the Urgent/Important matrix to give you an understanding of what is the priority. A presentation that is going to be delivered to a major prospective client by sales in seven days is a higher priority than reviewing a press release due to be distributed in two weeks’ time. This will allow you to tag your tasks on your to-do list with their priority level. If a task is urgent/important, tag it as a “High Priority 1” or shorten it to H1. This is the first thing you need to do that day. This could be a single task or a sub-task of a wider project. What else is Urgent and Important? The next task is tagged as a H2, H3 and so on. Once you have prioritised your to-do list, you now have an action list to go ahead and do that day, or over the course of a week. Typically, where I have a piece of work that needs input from another team member I prioritise getting that brief or request into them first, stressing the level of importance it is to me. For instance, a design agency you work with needs feedback from your creative director on those templates they’ve created so that you can close the project (and spend) off with them. That feedback is the priority for you to go and get. That way it’s not sat on your desk waiting to be actioned. Whilst I use the Urgent/Important matrix and prioritised action lists to evaluate my actions and when I need to do what, there are a number of other techniques I keep in mind. After all, no plan (or action list) survives contact with the enemy. Interruptions are inevitable – procrastination is a danger. So here are five more tips for helping you manage your time. Learning to say “No” is a skill. It’s all too easy when you’re asked to pick up another task to just accept it and add it to your list, even when you’re drowning. You need to be able to say No and there are a few important things you need to take into account when you do it. You should be polite but firm, and I recommend that you control your body language and tone of voice, this will help you communicate your stance and support the words you use. Avoid sounding frustrated or annoyed. If it is your boss, communicate to them what you are already doing and ask them where it sits in terms of your priorities. This allows you to manage expectations and may show your boss they need to find an alternative solution or more resource. Email is no substitution for a physical chat, whether that’s face-to-face or a phone call. Emails can be ignored or lost and will slow you down if you’re waiting on an answer to proceed with a project. Coupled with point 2, emails are a distraction – we receive hundreds every day. That’s before we take into account any project management tools you might use, chat groups or texts. It’s very easy to get lost and lose a whole day just reading and answering emails. They can also distract you from an important task. You might be in the middle of data work when suddenly an email pop-on flashes up, breaking your focus. The simple solution is to turn it off – save emails for when your energy is low and you are least productive during the day. For me, that’s at the end of the day. I focus on the urgent/important things in the morning when I need the most energy and need to apply more thinking, and answer emails in the last hour of the day when I’m less productive. 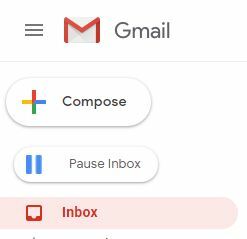 Boomerang has a great Gmail extension which lets you pause your inbox. I’d highly recommend getting it. The frog is that one thing you have on your to-do list that you have no motivation to do, or it seems really daunting, and these are the tasks that you’re most likely to procrastinate on. 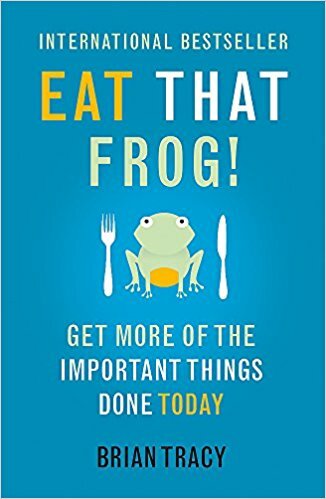 Eating the frog means to just do it, otherwise, you’ll end up procrastinating it the whole day. In short, do the thing you don’t want to do first. Leaving it will lead to procrastination and anxiety, as the task will continue to dwell on your mind and hang on your to-do list. Tackle it first, get it off your agenda and move on to the more enjoyable stuff. All too often it’s easy to start a task or project and just keep working on it. You might skip lunch to hit a harsh deadline or hit a block and start procrastinating. Usually, this is when mistakes happen. In this article, we’ve discussed a few of the techniques that a marketing manager can use to manage their time more effectively, and it’s my hope that you can take a few of them away and apply them to your day to day now. What’s more, many of these tips and techniques are equally applicable to the executives in your team, or indeed other departments and disciplines – even your personal or home life. For this reason, I believe time management is a critical skill and one that is important to develop. What time management techniques have you found that have worked for you? Alex is the Head of Earned Media at Hallam, with specialist expertise in digital PR. With extensive offline and online experience, Alex currently helps clients increase their online visibility through digital PR, at the same time as building on their search engine marketing efforts.